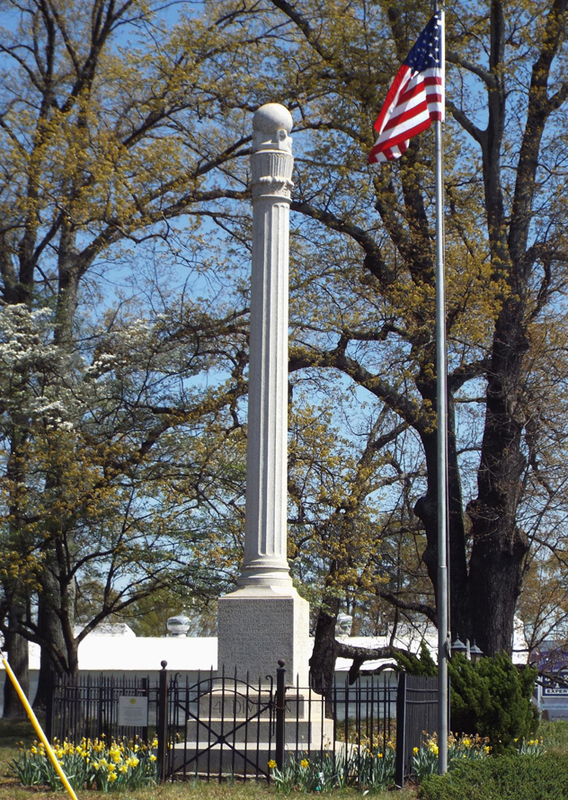 The monument was erected to honor the men who trained for World War One at Camp Greene. The most striking feature is a tall fluted column with an elaborate carving at the top holding the earth. The column stands on a large granite plinth on a triple base with inscriptions naming all the units stationed at the camp. The south face also has the spinning wheel insignia of the Daughters of the American Revolution above the inscription. It is surrounded by a black wrought iron fence. Speakers included Major James A. Lockhart and Captain Claude Cochran. George Phifer Houston and William Calvin Petty Jr., each a nephew of an officer killed in France, were chosen to unveil the monument. Camp Greene was named in honor of Revolutionary War General Nathanael Greene. It occupied 2,500 acres and had 2,000 buildings, including a 60-acre hospital facility and had more than a mile of horse stables. Camp Council in nearby Gastonia was used by troops at Camp Greene for artillery training. 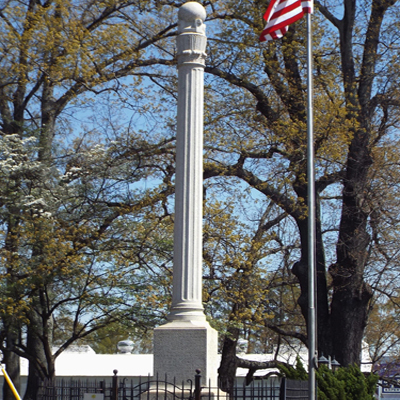 The monument is located at the corner of Wilkinson Blvd. and Monument Street, just off I-77, near where Camp Greene was located. The monument stands near the street corner in a public park in a large grassy area interspersed with trees next to a brick sign for Christ Presbyterian Church.